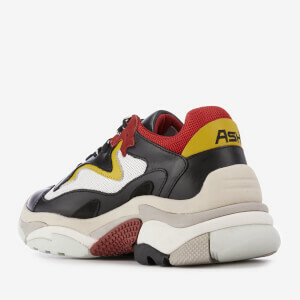 Bold '90s-inspired trainers from Ash. 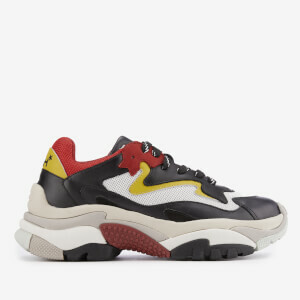 With a chunky, exaggerated design, the 'Addict' runner style trainers are crafted with leather and mesh uppers in black and contrasting tones. 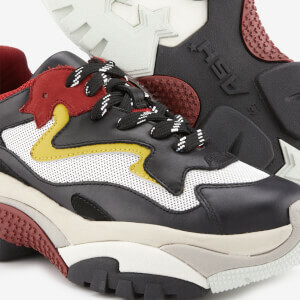 Resurrecting an 'old skool' design, the sneakers are secured with a classic lace-up fastening and set upon a chunky rubber sole with contrast star embossed detail in red. 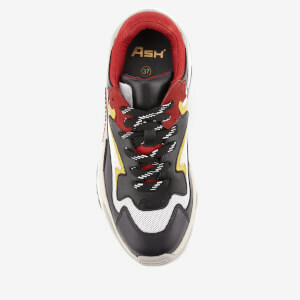 The nostalgic trainers are finished with a padded collar and embroidered branding at the eyestay and heel counter.